Find a summary of the major political parties’ election platforms and key election promises for the 2008 federal election in Canada. 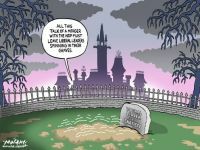 Links to the official party platforms for the Conservatives, Liberals, NDP and the Green Party are also available. 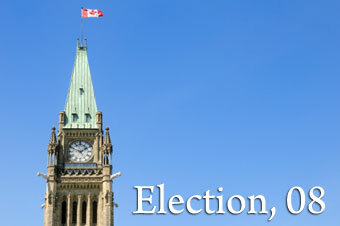 Find information on Canadian federal electoral history from 2006-2008, including 2006 general election results, changes in party leadership, and party standing prior to 2008 general election. Quick guide detailing how to vote in the 2008 election in Canada. Topics include, voter eligibility, where to vote, how to get on the voters list, and why its good to vote. Find detailed information on registered political parties competing in the 2008 federal election in Canada, including political party leadership, political party background information, and party election platforms. More Elections Features Coming Soon!